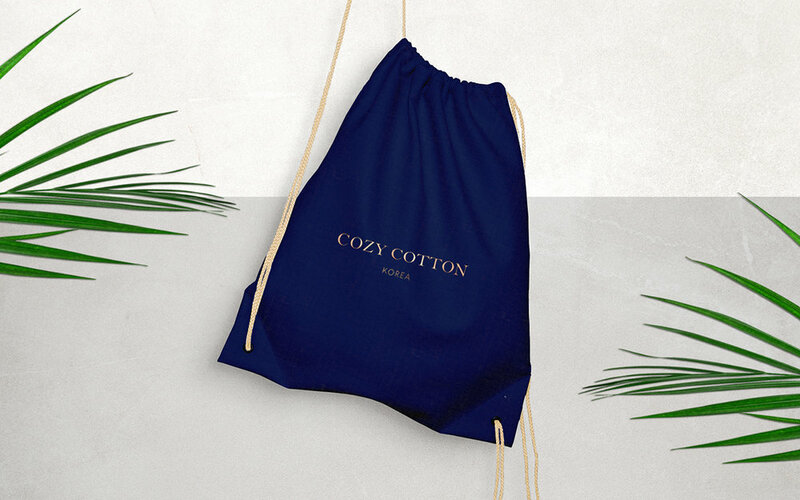 Specializing in furniture, art, cooking products, linens, and other home accessories, Cozy Cotton is a Korean online shop focused on home furnishing. Tom Jueris spearheaded this beautiful packaging and branding project for the company. His elegant combination of all-caps serif, italic, and handwritten fonts create a personalized and upscale feeling, further propelled by the simple yet luxurious photography. Volvo has a history of being socially and ethically conscious of their environmental impact and creating ways to mitigate their footprint on climate change. They've recently announced a new program that aims to help preserve our oceans. The car itself will help tackle the problem of marine pollution, as the carpet inlays are made from Econyl, a fabric made from 100% recycled nylon, including abandoned fishing nets reclaimed from the seabed. The V90 Cross Country Volvo Ocean Race was developed by Volvo designers and a group of engineers within the company’s Special Vehicles department, a purpose-built facility at Volvo Cars’ base in Torslanda, Sweden. The engineers at Special Vehicles specialize in developing bespoke models and are also responsible for Volvo Cars’ ultra-luxurious Excellence models as well as the police version of the V90 and V90 Cross Country. Located in Budapest, Hungary, DekoRatio Branding & Design Studio is a mecca for interior design, epitomizing the intersection of influence and inspiration. From their basic identity to their sliding doors that cleverly change messaging written on the wall behind it, no stone was left unturned in this beautifully and brilliantly designed space. The DekoRatio office not only provides an experience to its visitors, but also acts as a showroom for interior design. The space is divided into two parts in the angle of a "K": an industrial space and an all-white office space. This division speaks to the studio's ability to execute brand strategy and also to produce signs and prints. Ben Ali Souheil created this stunning poster series for Red Bull Music Academy BASS CAMP. Using geometric shapes interwoven with musical iconography and elements, Ben created a series that spoke to the event's fusion of medieval and modern inspiration. Blockchain is a technology that enables an anonymous, decentralized record of transactions. As consumer's, we've grown to understand that today’s digital ad industry revolves around Google, Facebook and Amazon. Blockchain has the power to address some of ad tech’s most challenging issues. This technology will enable the advertising industry to cut waste, target the right people, reduce the advertising load and deliver fewer, more timely and more relevant ads. By utilizing blockchain, advertisers and marketers will be able to anonymously track a customer across platforms and therefore deliver personalized ads without any personally identifiable information or costly contracts across media empires. Unilever, one of the largest consumer goods companies in the world, is threatening to pull advertising from Google, YouTube, and Facebook if the tech giants don’t rid their platforms of extremism, hate speech, and fake news. Unilever spent $9 billion globally on advertising last year. And with more of those dollars moving to the digital space, Big Tech depends on those billions if it wants to keep growing. Tagged: chris frank ladue man, chris frank, chris frank technology, Chris Frank youtube, cfx advertising chris frank, chris frank st. louis man, chris frank unilever, unilever, google, facebook, youtube, christopher a. frank, christopher a. frank st. louis, christopher a. frank advertising agency, christopher a. frank cfx inc.
After nearly a year of complaints from advertisers concerned about their ads appearing alongside questionable content and a slew of its biggest influencers going rogue on the platform, YouTube is revamping its policies for how creators make money off of their videos. Over the past year, YouTube has tweaked several of its policies, upping the requirement for channels to hit 10,000 views, for example, and adding more staffers to vet videos. Still, brand safety has quickly become a more mainstream problem for brands. YouTube is now manually screening each individual video for Google Preferred channels, which should cut down on the number of lone videos that make their way through YouTube’s programmatic pipes. According to Google, Google Preferred channels and videos in the U.S. will be vetted by mid-February and will be finished globally by the end of March. Now YouTube channels will need to amass 1,000 subscribers and 4,000 hours of watch time in a one-year period to run ads. Both new and existing channels will have to meet the new requirements, which go into effect on Feb. 20. YouTube is rolling out a three-tiered system for brand safety that allows brands more transparency into where their ads appear. One option caters to brands that are sensitive about where their ads appear. On the other end, a broad-based option lets brands buy ads across a bigger section of videos. The middle option—which is the default option—plays between, with targeted ads that still reach a significant number of channels. The results are in, and Voice Recognition software was all the buzz at this year's Consumer Electronics Show (CES) in Las Vegas, Nevada. Amazon’s Alexa and Google Home were highly discussed by every big brand and agency exec in Las Vegas, popping up in dozens of companies’ pitches and demonstrations. Google Home’s activation included a giant gumball machine showing how artificial intelligence works by asking consumers to play a game where they ask the voice assistant a series of questions. Google also conducted a large out-of-home and media campaign in casinos and on the monorail system. Major brands (like Sleep Number and Whirlpool) and smaller startups pitched AI-infused products while the commerce giant also hosted at least nine panels talking about itself. Right now, voice technology is developing, and virtual assistants can only understand a relatively small number of words. We can expect the vocabulary of your virtual assistant to grow as the technology becomes more sophisticated.